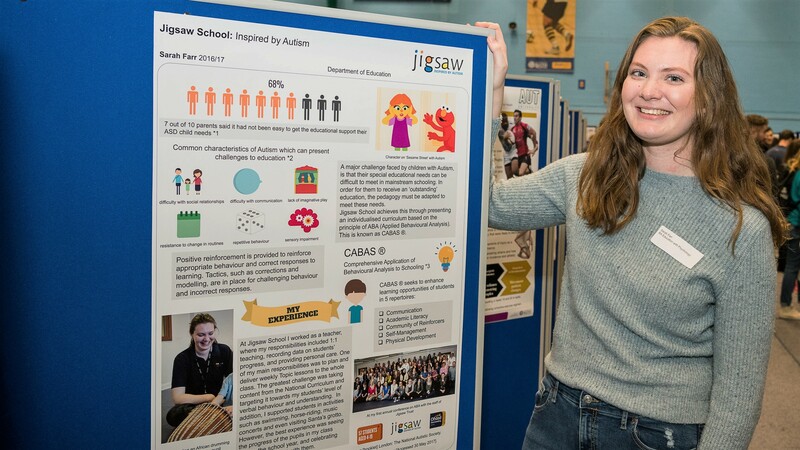 Sarah Farr shares her experience of working at Jigsaw School for children with a diagnosis of Autistic Spectrum Disorder. Why did you choose to study Education with Psychology at Bath? 'Education with Psychology is a contemporary course focusing on issues in education and childhood. Combining a range of disciplines, including psychology, sociology and philosophy, the course provides a unique perspective on how to approach these issues. 'I worked as a Comprehensive Application of Behaviour Analysis to Schooling (CABAS) teacher at Jigsaw School in Cranleigh, Surrey for my placement. The school is a specialist school for children with a diagnosis of Autistic Spectrum Disorder, and uses Applied Behaviour Analysis to teach and manage behaviour problems of students. What kind of support did you receive from the Placements Team? What advice would you give to a prospective placement student? 'My advice would be not to forget about the possibility of trying speculative applications. A lot of companies, charities and schools have not considered taking on a placement student, so it can be useful to send out a speculative letter and CV, to see if they would be interested.